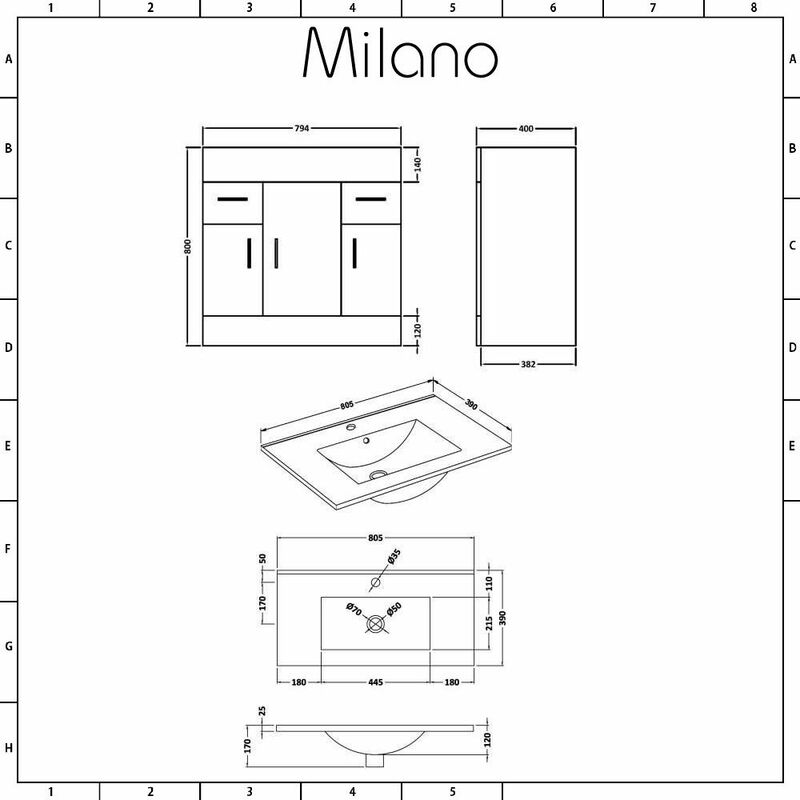 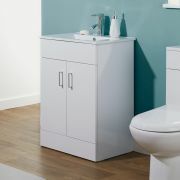 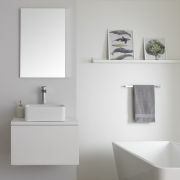 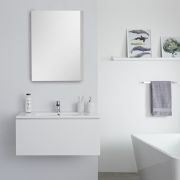 Add a modern storage solution to your bathroom with the floor-standing Milano Minimalist 800mm vanity unit and basin. 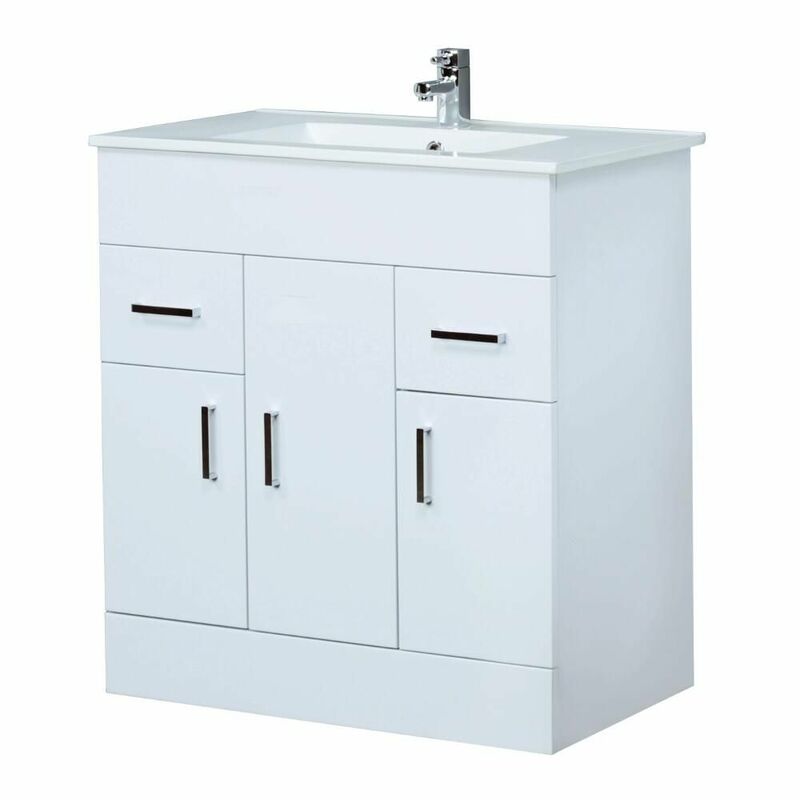 Incorporating three cupboards and two drawers, all with soft close technology and attractive chrome handles, the Minimalist vanity unit offers plenty of storage for your toiletries and beauty products to keep a tidy look in your bathroom. 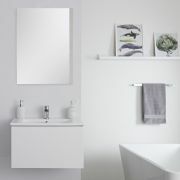 Constructed from strong and long-lasting moisture resistant engineered wood, the vanity unit is finished in a shiny gloss white to give it a contemporary look. 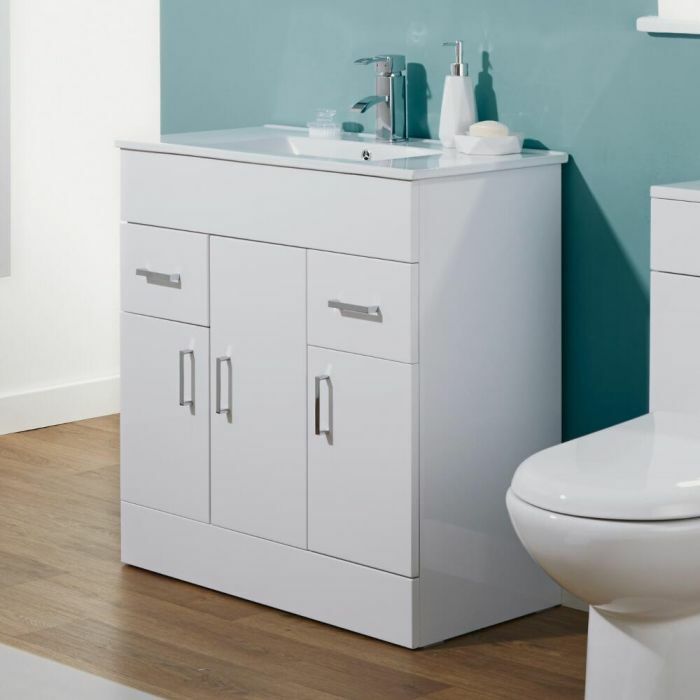 The back panel can be cut or removed to enable you to fit the necessary pipework, thus making it adaptable to your needs. 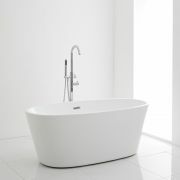 The high quality ceramic basin benefits from a modern design and a white glaze finish to ensure it is easy to clean. 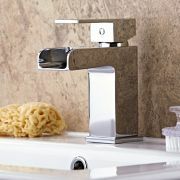 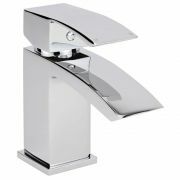 Fitted with a single tap-hole, the basin can be customised with a mono tap from our range to suit your own style.